Dr Meier specializes in non-surgical rejuvenation since 2005 with advanced training in all modalities. She has great expertise and an artist’s eye and hand for applying her skills. Among the many options for enhancing and restoring your youthful look, we utilize Dermal Fillers, Collagen Boosters and Wrinkle relaxers. We specialize in non-surgical facial rejuvenation using procedures such as Botulinum-A, Dermal Fillers and Platelet Rich Plasma (PRP). The products we use are all purchased from within the United States, are FDA approved and of the utmost quality. These products include Botox, Xeomin, Juviderm, Restylane, Radiesse, and more. Our staff is courteous, attentive and bilingual, speaking both English and Spanish. We approach aesthetics with the intention to provide a youthful refreshed look without appearing artificial or ‘plastic’. You will find Dr. Meier to be professional and knowledgeable while also being personable, and easy to speak to. All dermal fillers we use are made of a clear, bio-compatible gel made out of naturally occurring Hyaluronic acid, present naturally in young skin. Lips: Dermal fillers can even out lip contours and add subtle volume to the lips while softening the appearance of vertical lip lines to choice long-lasting natural looking results. We prefer Volbella, Belotero, and Restylane Silk for the fine lip area. Cheeks: As we age, our cheeks flatten. Dermal fillers can lift, enhance and contour volume loss of the mid face to restore a more lifted younger look. Restylane LYFT, and Juvederm Voluma XC are great for immediate and long lasting results for the cheek area, we also like Radiesse to build collagen for the mid face and cheek area to add more structure. Nasolabial folds and Oral Comissures: The folds going from the corner of your nose to the mouth can deepen with age. Dermal Fillers can plump those lines and provide immediate, long-lasting results in just one treatment. Restylane, Juvederm Ultra XC for more volume and Juvederm XC for more subtle plumping are our preferred option for beautiful results in this area. Juvederm – This dermal filler helps restore volume, plump up lines and treats wrinkles. Juvederm is used to lift and contour cheeks, smooth lines around the mouth and plump lips. Radiesse – Restore collagen and replenish volume in the face and hands. Radiesse works similar to other fillers by stimulating natural collagen in your skin. This filler is the only FDA approved dermal filler for both hands and face. Belotero – Even out fine lines and wrinkles with Belotero. This dermal filler is used around the nose and corner of the mouth to reduce or eliminate deep lines caused by age. 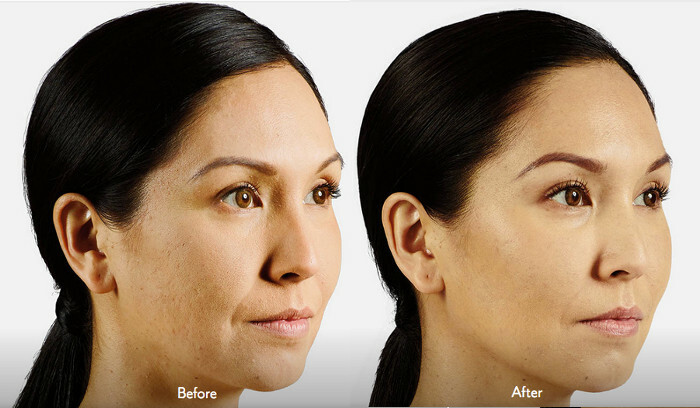 Restylane – Smooth away facial wrinkles and folds with Restylane. At 30 million treatments world-wide this is a popular treatment available at Clear Sky Medical. Certain injectables can stimulate collagen production and collagen remodeling in the areas injected. Sculptra – Sculptra helps stimulate yours skin’s own natural collagen production to help restore its inner structure and increase facial volume that has been lost to aging. 1-2 vials are injected per sessions and the sessions can be scheduled 3 -6 weeks apart. A good rule of thumb is one vial per decade of age to turn back the clock to noticeable yet completely natural looking results. PRP: Use your own body’s healing power, increase stem cell and collagen production in the face, neck, hands and joints with PRP treatments. PRP is made from a small sample (about 1.5 oz) of your own blood. A office based process concentrates the platelets found in the sample. These concentrated platelets contain huge reservoirs of growth factors. Your bodies own concentrated growth factors promote healing and rejuvenation and also stimulate stem cells to migrate to the area injected to promote further rejuvenation and restoration. 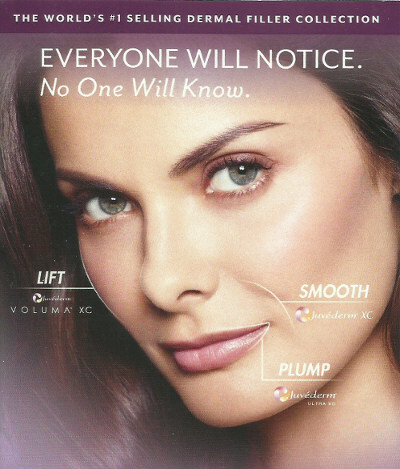 Botox/Xeomin/Dysport – Botox, Xeomin and Dysport are all “Wrinkle Relaxers”. A protein called Botulinum toxin A binds to the receptors of the muscle where injected and the muscle is temporarily relaxed until new receptors are made, which takes about 3-4 month. By relaxing the muscle, dynamic wrinkles caused by muscle contractions like frown lines, crows feet and fore head wrinkles, are smoothed out and softened. Trust the Clear Sky difference and do it right the first time. You deserve to look and feel great! Call us to set up your consultation today at 303-790-7860.